Recent developments in technology have contributed to boosting up the industry vertical of e-commerce websites to a great extent. However, with extensive growth in the e-commerce business, it has been closely observed that the human touch gets missed by the users in their buying experience. Users usually do not have access to communicate with any physical entity while buying products online that restricts them with their buying choices in more than one ways. We have seen that e-commerce drives online sales, but an online store without a proper email marketing support lacks sales enablement. Email marketing conversation keeps the e-commerce store alive and relevant for the customer. 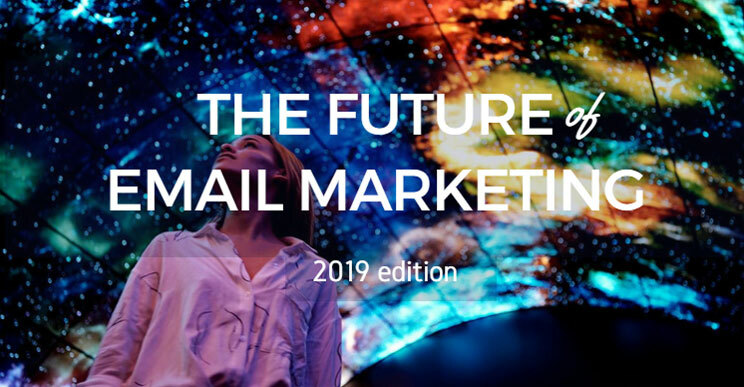 The biggest challenge that businesses face while applying email marketing strategies to accelerate their e-commerce conversions is that the control of the email communication between a brand and the customer is always in the hands of the latter. Let us look at some of the ways following which one can get over with such challenges in a smooth manner, and get maximum business benefits with e-commerce. You might have heard the term that first impressions are always the last. Imagine your users working on their desk, and an email message pops up on their smartphone featuring your best offers of the season. Putting up the same in front of them in the best and most creative way would be the key to pique their interest in focusing on your mail. Choosing a perfect subject and preview line is always crucial to creating an impactful impression over your customers. Not only that it attracts them more towards your brand, but it also strengthens their trust towards your brand offerings. There are tons of promotional emails that a customer receives on a daily basis on their email accounts. It is not necessary that they are going to open each one of them. In fact, there are many emails that directly go to the spam folders to never to be explored by them. How should you manage to convince them to open your promotional mail? With an attractive subject line already in place, an effective preview text is highly crucial for grabbing their attention in the space of just a few seconds. Optimize your preview text to establish further communication with your customers make a big difference. If you want your customers to act on your emails, you must have a clear strategy to increase their curiousness to catch a certain offer that you are throwing in their court. To start with, address the consumer in a personalized manner to establish an emotional link with them in the first place. In your email content, the learning quotient must have a powerful convincing and explanation power to enable them to understand the offers and drive their learning towards your brand in a crystal clear way. You can also present the content with the exact quantum of cost value to entice them towards taking definitive action. Holidays and festivals bring with them an air of positivity and eagerness to purchase new items. Creating your email campaigns revolving around holiday season themes can make a whole of difference for your email marketing success. Research data has clearly shown that during the times of Christmas, New Year and other big occasions, big portions of sales are directly driven by the customer traffic attracted by email marketing campaigns. Incorporate this fun email marketing strategy in your emails to get instant positive results to boost up your e-commerce sales during the times of holiday seasons. Make it a fun experience for your customers from the very beginning by attracting your visitors with a series of email campaigns. As a welcome gesture, offer them lucrative discounts to build strong relations and boost your conversions. Besides highlighting your brand best features, it also works as excellent advertisement support for your brand. Make email series post-purchase including information related to shipping, and other tracking details. You can also ask your customers to put their valuable feedback once receiving their products to encourage them to stay on your website for a prolonged time and build your brand trust in them. A series focussing towards asking your customers to shop back and rewarding them to stay with your brand for a long time would further play a decisive role to boost up your sales. Using personalization in your email marketing would be a sure shot way to enhance your e-commerce sales. However, you do not have to fake familiarization by addressing your clients with their personal nicknames. Sending bespoke content suiting the individual needs of individual customers would lead to greater traffic on your website. You can start using this strategy by segmenting your custom preferences on the basis of gender. You can also take assistance from previous interaction with your targeted customers that will make it clearer to you about their individual preferences. Analyzing the past purchased products by your customers shall also enable to create a better and compelling email framework for increasing your sales. There are better chances that the customers would likely buy any item that is similar or complementary to what they have purchased in the past. Having an impactful call to action display encourages your customers to click on the same and enter your website to further move towards making an effective purchase. Design your call to action message visibly attractive, legible and powerful. Having provided an impressive call to action is as important as detailed information related to yourbrand offerings and offers. You can use unique color scheme related to the color of your brand logo and website for the style of your email. You don’t have to make its size bigger than the other content, but the use of right color, button shape, and a catchy line would do the trick. It is absolutely essential for your marketing team to put a link of your landing page in your promotional emails. No email marketing is complete without directing the audience to your landing page. Ultimately, your end goal is to enhance your online purchase that creates the necessity to put a clear direction sign for your customers to visit your main website or any important landing page with a dedicated link mentioned below it. If you are sending these emails for a special purpose or occasion, it would become easier for your audience to explore the page by putting a link for them. The technology related to A/B testing refers to creating more than one title for the subject line of your email. Analyze your conversion rates with the emails and understand which of the emails scored better than others for increasing your sales. In order to achieve positive results out of this, you must send several emails and observe how many customers subscribed to your services after reading which of these emails. To achieve better clarity over the concept, hire an expert digital marketing company with SEO experts to incorporate this attractive technique in your email marketing in a better way. Your work doesn’t end with selling your products to the customers. They have spent their hard-earned saving on your items that need to be acknowledged to establish a lasting relationship with them. You can do so with a thank you mail to individual customers listing the items that they purchased along with links of related items, additional offers, any special offers on the items of similar genre. You can also ask them to review your products after a while to remind them about the special offers that have been running on your website at the current moment. There are times that customers add their items in the cart but forget to purchase due to different personal reasons. Send them a reminder mail to make the purchases, and the chances that they are going to perform the action become better. Make the email attractive by posting the items to-be-purchased in your email that would invariably lead them to complete the final step of making the purchase. At the end of it, it all comes down to the knowledge that with the recurring developments in technology, man is turning into machine, and machine is turning into a man. With a great amount of work performed by the machines, a lack of human interface is quite visible when it comes to e-commerce business interactions. Humanizing e-commerce through great content-driven email marketing campaigns would give a definite boost to your lead conversions over your e-commerce websites. Being a senior business associate, Peter Davidson strives to help different brands and startups to make effective business decisions and plan effective business strategies. With years of rich domain expertise, he loves to share his views on the latest technologies and applications through his well-researched content pieces. Follow him on Linkedin and Twitter.